to take this opportunity to thank our sponsors which make this possible. 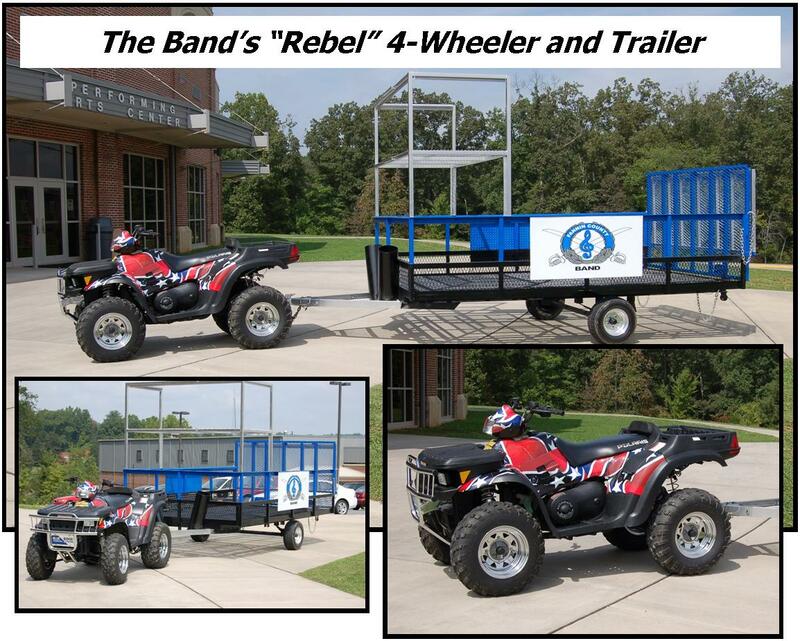 The "Rebel" 4-Wheeler and Equipment Trailer are property of the Fannin County Band Booster Club. Special thanks to First Baptist Church of Blue Ridge for donating the Band Van. 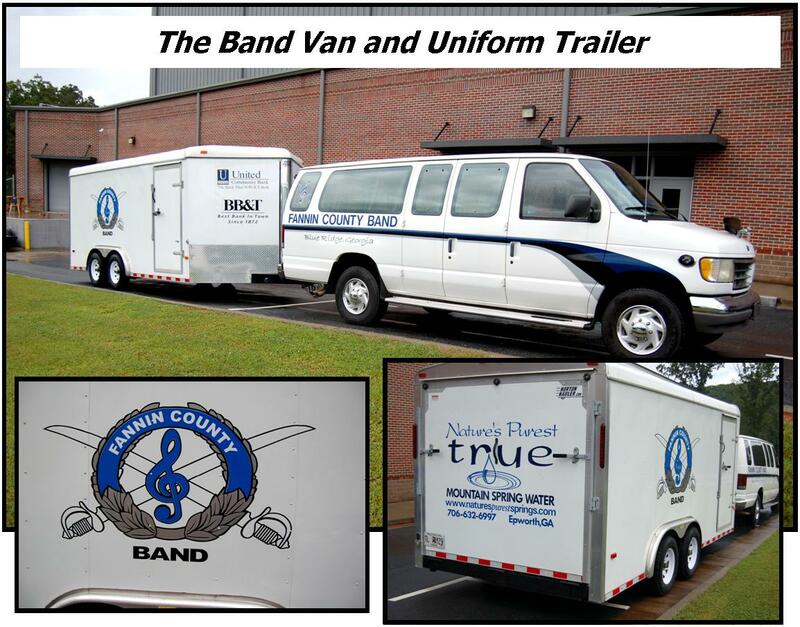 The Uniform Trailer is property of the Fannin County Band Booster Club. for the Van and Uniform Trailer's new look for the 2010-2011 school year! truck to all away games, festivals and parades. 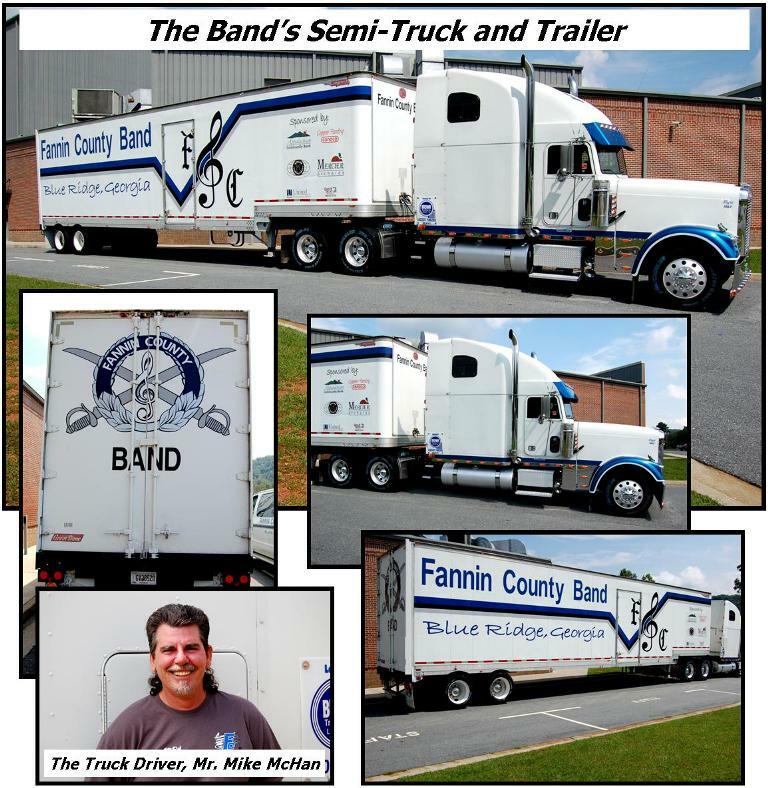 The semi trailer is property of the Fannin County Band Booster Club. for the semi trailer's new look for 2010-2011 school year!